The original idea for the article came from a conversation she and I had in October, which has nothing to do with network effects. My point was that raising capital was becoming more important to success, not less, and thus VC’s are becoming kingmakers again. Thus, this article generously quotes me. 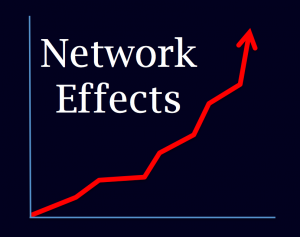 Unfortunately, based on the title, several people have thought that I am now saying network effects are dead, despite being a Partner at a fund whose name is Network Effects Guild (NFX Guild). It would indeed be an irony if true, but nothing could be further from the truth. More than ever, we believe getting network effects are critical to building value in startups. I believe this will be true for the rest of my lifetime. So much so that my Partners and I spend many hours per week honing our skills at helping build network effects in our 65+ portfolio companies. Network effects are alive and thriving. The most valuable companies have them, and the most valuable companies in the future will have them.